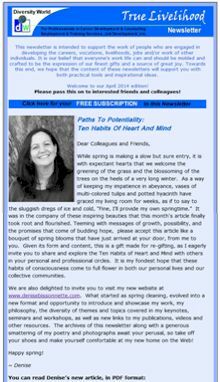 Published several times a year, Denise’s True Livelihood Newsletter is a free electronic (delivered by email) newsletter. It supports the work of people who are engaged in developing the careers, vocations, livelihoods, jobs and/or work of other individuals. it is our belief that everyone's work life can, and should be, molded and crafted to be the expression of our finest gifts. 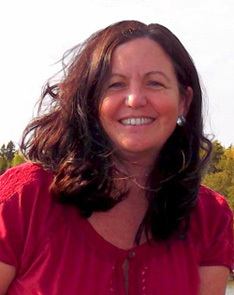 We also believe that work can, and should be, a source of joy and fulfillment for everyone. 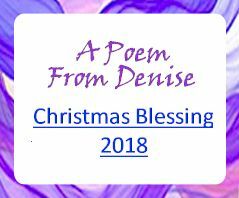 Towards these ends, Denise's newsletter offers its readers a refreshing combination of practical tools and inspirational ideas. 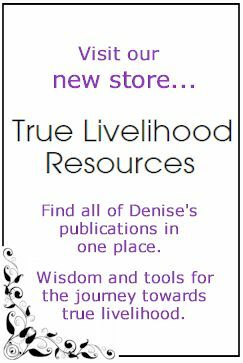 Access to many more earlier articles in the True Livelihood series will be available soon.